Looking for some inspiration for your next chicken-based dish? Look no further: This selection of recipes is inspired by some of your favourite cuisines from around the world, each one bursting with flavor and guaranteed to entice your tastebuds. The best part? 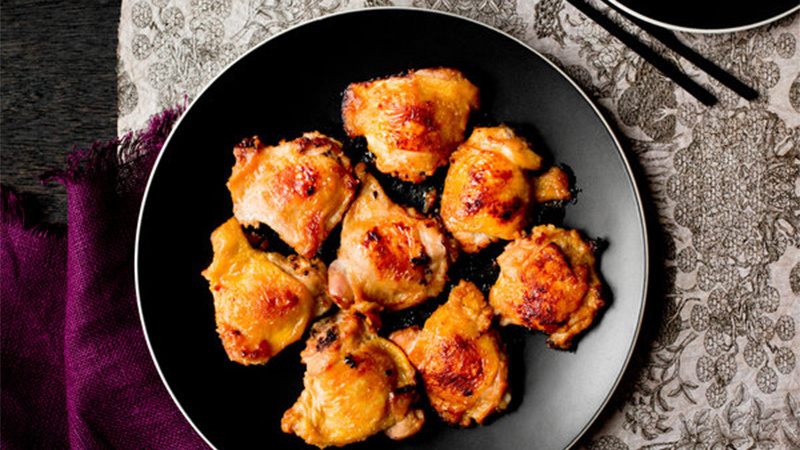 Each delicious chicken recipe is 300 calories or less. If the thought of having chicken for dinner (again?!) has you bummed, pick one of these eight low-calorie chicken recipes and have your passion for poultry renewed. No passport needed for a world’s worth of flavour. Do you love the taste of Thai? 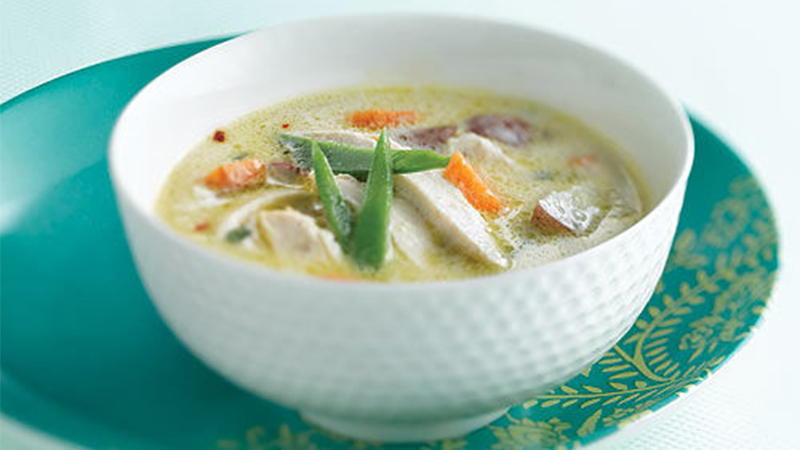 This recipe for Chicken Coconut Soup takes the flavours of Thailand and interprets them in a clean-eating soup that is 250 calories per serving. Coconut milk, chicken breasts, snow peas, cilantro, carrots and garlic are all staples you probably have in your kitchen right now, so what are you waiting for? There is nothing that says “summertime” quite like standing at the grill. This lime-grilled chicken breast gets a big punch of flavour (and beneficial antioxidants) from blueberries, plus a touch of heat from jalapeno. If you are getting bored of your normal routine, step outside of the box and try Grilled Chicken Breasts with Blueberry Salsa. At 305 calories per serving, you’ll be glad you did. 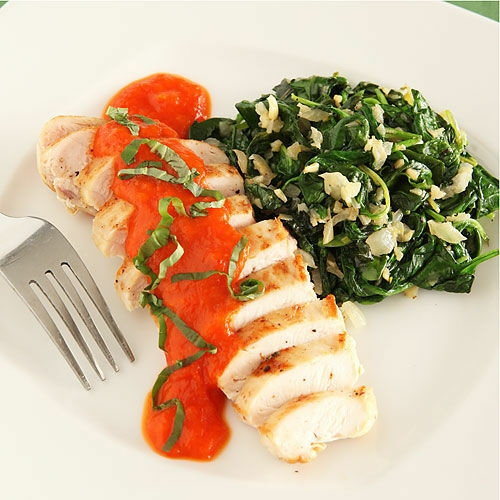 When chicken breasts are draped with a velvety, sweet red-bell pepper sauce and served with a side of garlicky spinach, you get so much more than a low-calorie chicken recipe. Chicken Rioja with Garlicky Spinach has Spanish influences so tasty, your mouth will want to tango. As a bonus, red bell peppers are incredibly high in vitamin C; each one has more vitamin C than an orange. This dish has big flavours, and only 201 calories per serving. This recipe originated from the culinary creativity of Hungry Girl and is sure to be a hit in your household. Stuffed with melted cheese and delicious fresh salsa, this recipe is perfect for a backyard barbecue get together with friends. Roasting tomatillos and serrano peppers adds a smoky, spicy layer of unforgettable flavor to this recipe for Chicken with Tomatillo and Cilantro Sauce. Pumpkin seeds add a crunchy texture and are a great source of zinc, so not only is this a low-cal dish, it is also an immune boosting meal as well. There are only 231 calories per serving in this high protein, low-calorie, low-carb meal. 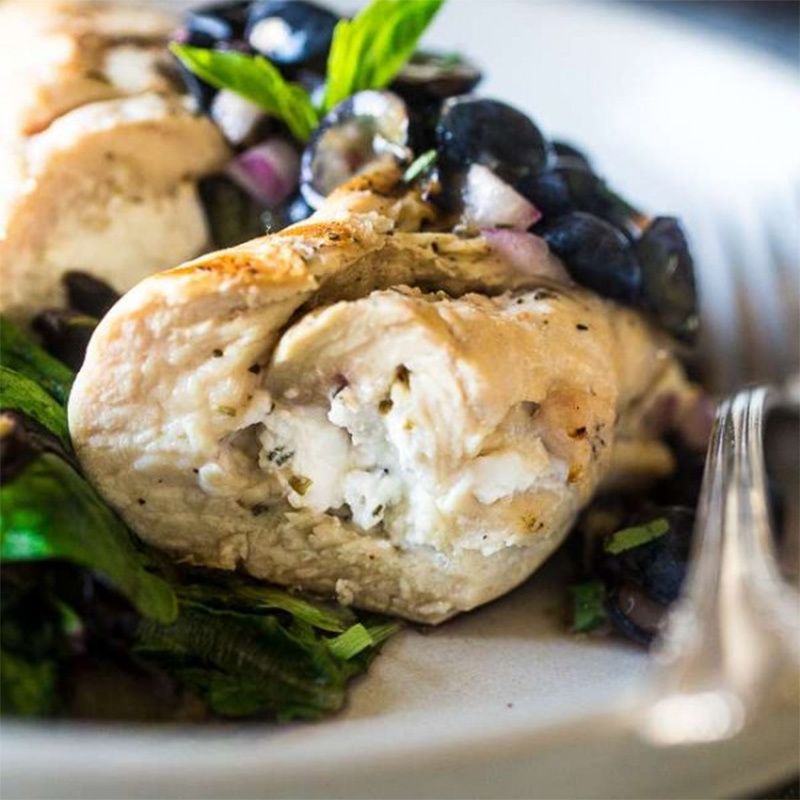 The biggest, boldest flavours can often come from the simplest ingredients, like Dijon mustard, lemon, marjoram leaves, and Kalamata olives in this recipe for Herbed Citrus Chicken. 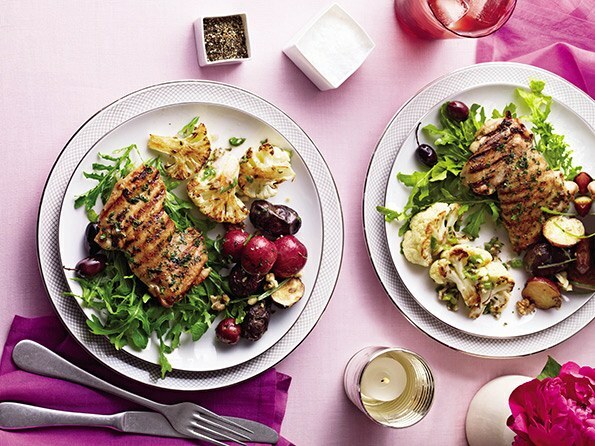 Served on a bed of peppery arugula, this grilled chicken breast recipe is sure to become a favourite. The fresh, bright flavours come in at 286 calories per serving. 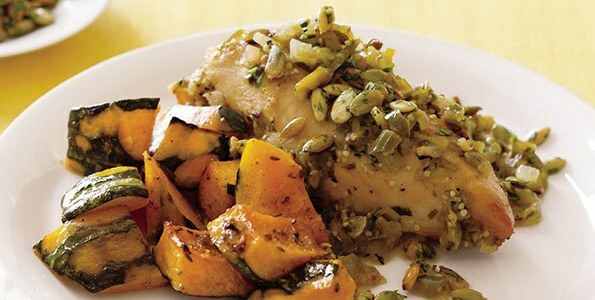 A Mediterranean diet is recommended for weight loss and for heart health, so this recipe for Seared Chicken with Greek Salsa should be at the top of your healthy, low-cal list. 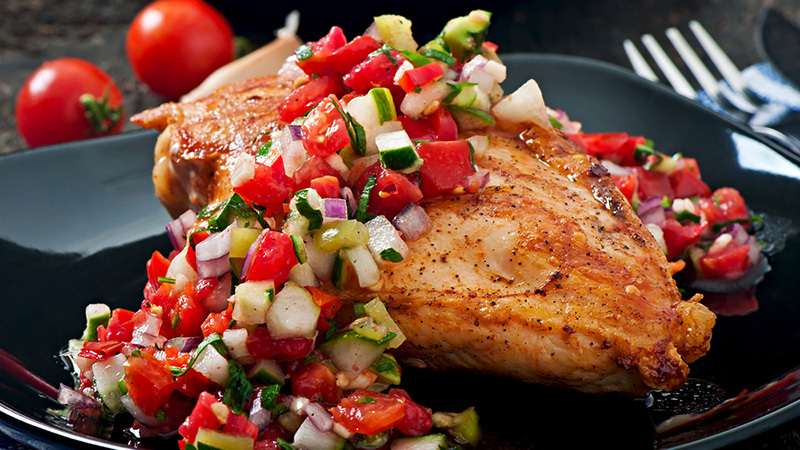 Cucumber, mint, and red pepper are tossed in fresh, bright lemon juice to create a delicious salsa to top an oregano-seasoned chicken breast. A touch of feta adds a creamy texture to the crunch of the salsa and tender grilled chicken, but the calorie count still stays at a mere 175 per serving. 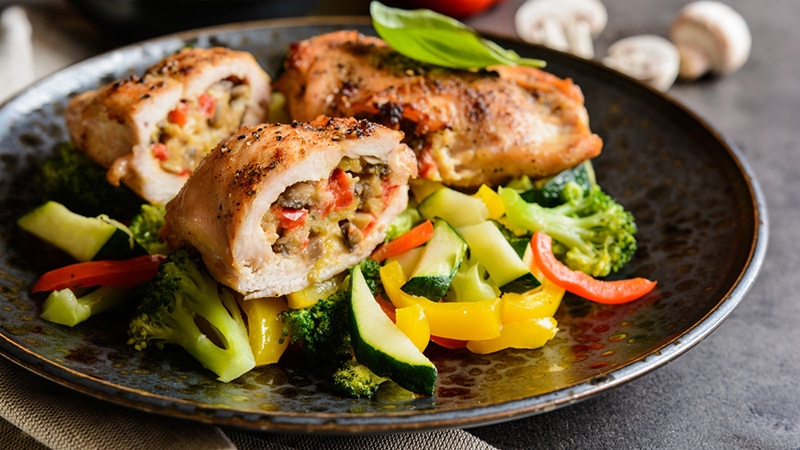 Chicken is a lean protein food that can help you reach your weight loss goals. Replacing meals that are high in calories and carbohydrates with meals that are high in protein and low in calories can get you on the fast track to a healthy weight. However, chicken doesn’t have to be boring, not when you use inspiration and flavours from around the world to make your next dish an amazing one. These chicken recipes will definitely make your next chicken dinner exotic, exciting and healthy.